DHL-GF to surpass one million TEU in APAC by year-end; Choice Logistics expands its global network; a new overnight truckstop opens near the Port of Dover; and Kuehne + Nagel completes the global roll-out of its new IT system. DHL Global Forwarding's Asia-Pacific ocean freight volumes will exceed one million TEU by the end of this year. The 25% year-on-year growth is attributed primarily to a significant increase in intra-regional trade and the further development and expansion of direct services on trade lanes between Asia Pacific ports and those in the Middle East, Africa, South America and Eastern Europe. Choice Logistics has expanded its base of strategic stocking locations (SSLs) internationally, increasing its highly specialised services to support clients through multiple sites in ninety countries. To complement its growing global footprint, Choice also continues to invest in its IT infrastructure, with upgrades including tracking capabilities that improve parts traceability, and the development of a comprehensive knowledge management database to share information across their network, to elevate service levels. A new overnight truck-stop just three miles from the Port of Dover is scheduled to open in mid-December. 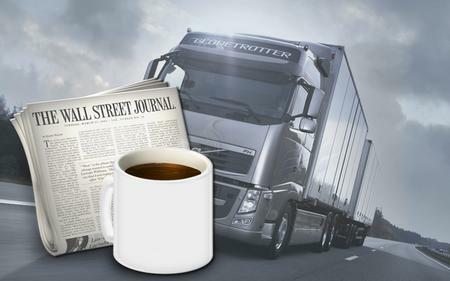 Owned and managed by global time-critical delivery services provider, Priority Freight, the truck-stop will be able to accommodate 100 vehicles, and will feature extensive security equipment, including CCTV and an automatic number plate recognition system, as well as an American-style diner, a trucker's shop and hot showers. Kuehne + Nagel has completed the global roll-out of the new version of its logistics information system - KN Login. Covering all of the company's business activities (sea, air, road and rail logistics as well as contract logistics), the new KN Login is a safer, simplified and more efficient high-speed platform that delivers Internet-based premium supply chain visibility and analytical reporting solutions, with customised summary view screens, own reference terminology and an enhanced exception monitoring engine.